The staff at these serviced apartments were exceptionally nice and helpful. The overall location in terms of walking to everything is good, but the presence of noisy students walking home from bars late at night is not. The spaces are very ample, kitchen well supplied, and the beds comfortable. Property was very spacious and central. Also the girl who dealt with me upon checking in was really nice and understanding. 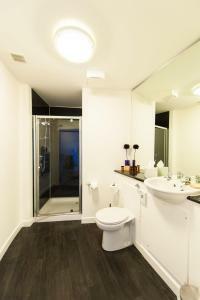 The apartment was very spacious considering it was one bedroomed, although the bathroom was relatively small.. The apartment was modern, airy and warm. We enjoyed being so near the city centre and within walking distance of everything we intended to see. There is a convenience store almost next door for milk etc. The staff were always friendly and helpful. Clean, able to walk to attractions such as Jute Museum, V&A, harbour. Lovely view towards The Law. Friendly helpful staff.apartment was spotlessnot too far from town centre.only stayed one night.definetly recommend.i will be back soon. I have been staying there for many times, and never experienced anything I could complain about! It's very clean, very cosy, the reception staff provide the very good customer service. 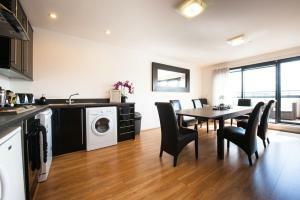 The apartments are furnished in a modern way. I really enjoyed my stay every single time. Very recently they also proved to go extra mile for the guest, as I received help after I made a mistake with the booking. I highly recommend! Parking was easy (spaces for apartments were full but they were still able to sort us out!). Staff were really friendly and helpful. Apartment was lovely, much better than I had anticipated! Good view of the Law. 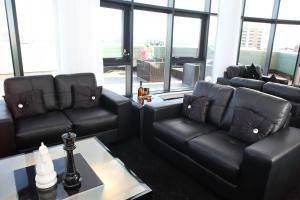 Lock in a great price for Westport Serviced Apartments – rated 9.1 by recent guests! Westport Serviced Apartments This rating is a reflection of how the property compares to the industry standard when it comes to price, facilities and services available. It's based on a self-evaluation by the property. Use this rating to help choose your stay! 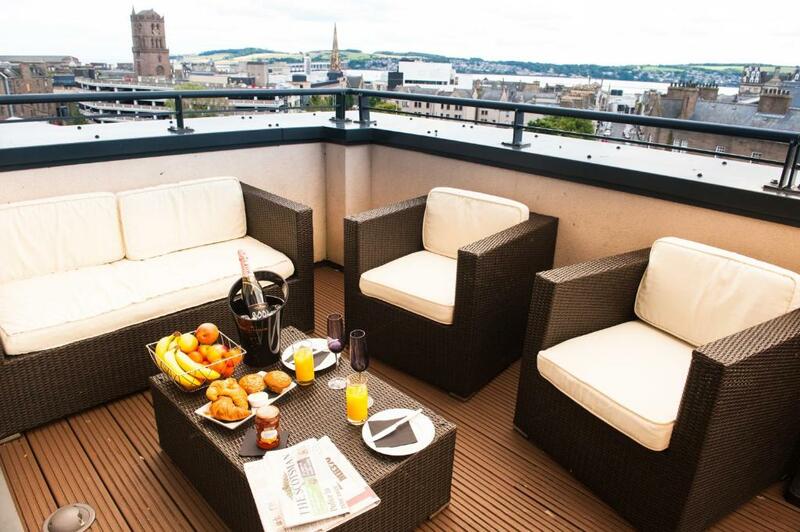 Luxurious and chic, these modern apartments are located in the very center of Dundee with scenic city and river views. With free parking, guests can relax with cozy bathrobes, a DVD player, and leather sofas. The spacious living areas boast stylish furnishings, modern wood floors, and a glass coffee table. Each apartment enjoys excellent views of the River tay or Law Hill, while some also boast balconys. Living areas also include a flat-screen TV and free Wi-Fi access. Fully-fitted kitchens include an oven/hob for self-catering, along with a microwave, toaster, and fridge/freezer. Guests can also make use of a dishwasher, washing machine, and kitchen utensils. Sleek bathrooms at Westport boast luxury toiletries, slippers, and fluffy towels. Free parking is available, and Dundee University is only 2 minutes’ walk away. Dundee’s central shops , including the Overgate and Forum shopping centers, are only a 5-minute walk from the apartments. V&A Dundee is 3,100 feet from the property. Dundee Rail Station can be reached in a 10-minute walk. When would you like to stay at Westport Serviced Apartments? A spacious one-bedroom apartment which sleeps 1 or 2 adults. Each apartment consists of a bedroom with king or super king-size bed, shower room, airing cupboard, fully fitted kitchen, living and dining area. These two-bedroom apartments sleep up to 4 people in either king or super king-size beds. They include a spacious shower room, airing cupboard, fully fitted kitchen, living and dining area. Limited balcony options are available on request. Split over 2 floors, includes a balcony with stunning views, 2 bedrooms, 2 shower rooms, airing cupboard and cupboards for storage, a full kitchen and dining area with separate large lounge area. These spacious one-bedroom apartments sleep 1 or 2 adults and come with fabulous views over the river Tay. Each apartment consists of a bedroom with king or super king-size bed, shower room, airing cupboard, fully fitted kitchen, living and dining area. 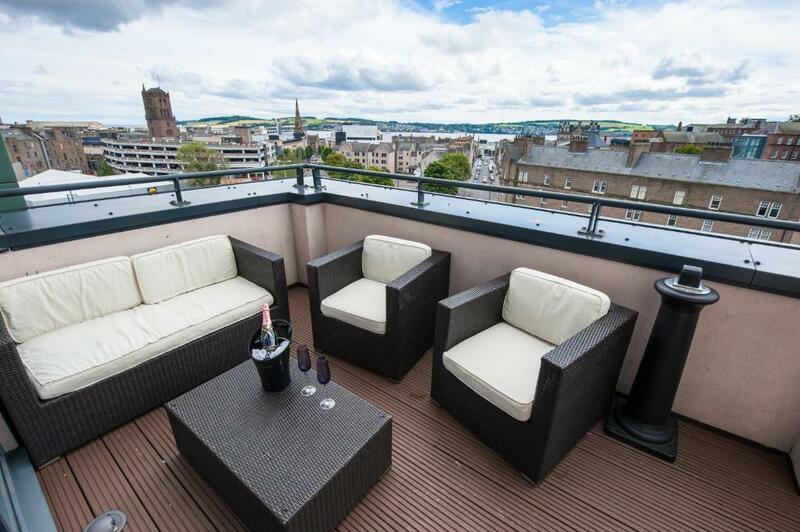 This one-bedroom penthouse apartment features stunning views over the river Tay. The bedroom offers an private bathroom with a walk-in shower. The kitchen is fully fitted, and leads out onto a dining and living area, with a balcony and panoramic views. The apartment features a private cinema area. House Rules Westport Serviced Apartments takes special requests – add in the next step! Westport Serviced Apartments accepts these cards and reserves the right to temporarily hold an amount prior to arrival. Please note that this property cannot accommodate stag or hen parties, or similar parties. Kindly note guests cannot exceed the number of maximum guests in their apartment, and parties and loud music are not allowed. This may result in bookings being canceled without refunding. A security deposit of GBP 50 per person is required upon arrival for incidentals. This deposit is fully refundable upon check-out and subject to a damage inspection of the accommodations. Lighting in the kitchen / living room was mediocre and the bedroom would benefit from the inclusion a chair either side of the bedroom as somewhere to put clothes last thing at night. I can't find any matter on which there could be any improvement. I really didn't like the fire alarm going off at 4am in the morning, nearly had a heart attack!!!! Some things just can't be helped. 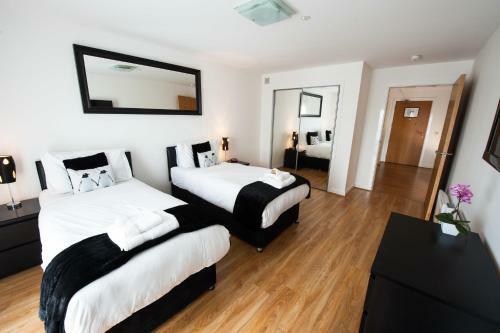 £99 per night is a steal for these apartments, there was always someone on reception, 24/7 access to room service, the apartment was stunning and its directly in dundee city centre. There was also parking, they allowed us to keep the car there after check out too. An absolutely lovely little gem with lovely staff. Some of the crockery was not 100% clean. It was spotless, comfortable, quiet, had everything we needed. I liked the little extras as well like the robes and the slippers.